Through our hands, we share in each other, the passage for healing, and road to degradation. In our times of love, and during our hour of indifference. Within all our moments of play and laughter, to the memories of a distant past we soon wish would pass. We carry, in each of our hands, the keys. We hold in our hands, the ticket, to witness this wonderful drama. From simple open palm designs, with fun and easy functionality, to gesturing fingers of a moody kind, we offer several hands of multiple implications so that you can nail the project you're on. The impression you want to make, is up to you. Keep it classy, get weird, be a professional, finish a masterpiece, and all of the above. Whatever you're next big event is, always remember to keep it as unique as you. With us at Interior Illusions Plus, we offer hands that easily affix to any flat surface, as well as table top designs to cover all your decor and event needs. 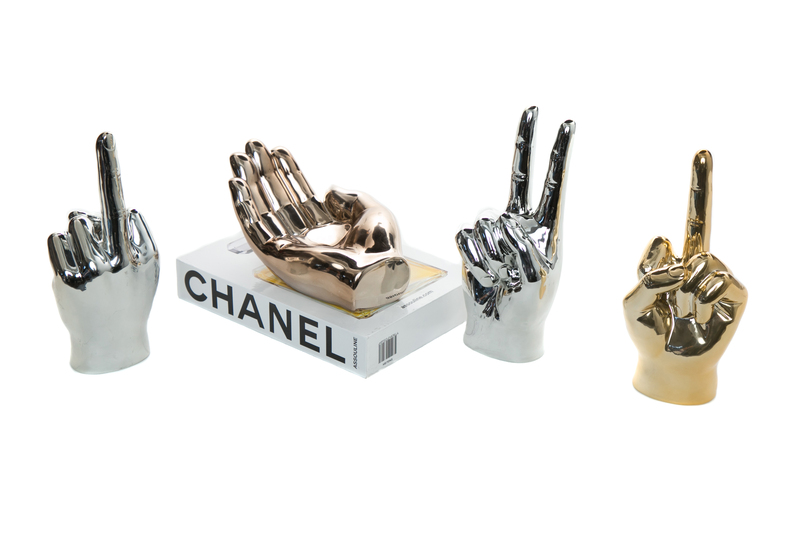 Hands that compliment any theme and setting. Despite they're fun functionality, we do not recommend putting the hands under too much stress and weight. Thank you!